As part of Family Dispute Resolution Week 2015, Resolution conducted polling of children and young people with experience of divorce or separation - and the result may surprise you. Overwhelmingly, children and young people with experience of separation or divorce would rather their parents separated than remained together if they were unhappy. The poll was conducted with people aged 14-22 and was carried out by ComRes on behalf of Resolution. The poll also gave insight into the level of involvement and information children and young people going through divorce or separation would like to have about the situation from their parents. 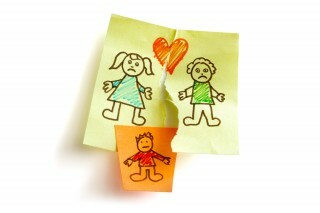 The findings have been published ahead of new Parliamentary guidance for divorcing parents. Furthermore, the research has also shown that children and young people would like greater involvement in making decisions during the divorce process. In fact 62% disagreed with the suggestion that their parents included them in the decision making process during separation or divorce. However, 50% of young people indicted that they did not have any say as to where they would live or which parent they would live with. Most importantly though, 88% of children said it was important to them that children are not made to feel like they have to choose between their parents. The awareness raised during Family Dispute Resolution week can help families separate or divorce better, focussing on co-operation and putting the needs of children first. To find out more about family law generally read our guides here.